If there's a particular religion or celebration you or someone you know participates in that doesn't appear on this list, let us know by leaving a comment on this post. Or, if you think we got something wrong, please also comment and let us know. We try to be as accurate as possible, but if there's a mistake, we want to correct it. Thanksgiving Day is an annual national holiday celebrated in the United States on the fourth Thursday of November. It is a celebration of the harvest and other blessings of the past year. Americans generally believe that their Thanksgiving is modeled on a 1621 harvest feast shared by the English colonists, Pilgrims of Plymouth, and the Wampanoag people. This gathering resulted in a treaty between the two groups that lasted until King Philip’s War (1675–76), in which hundreds of colonists and thousands of Native Americans lost their lives. Giving thanks had always been a part of Wampanoag daily life. Similarly, in England and throughout Europe thanks was always given after a successful harvest. In 1621, when the pilgrims had a bountiful harvest after a year of sickness and scarcity, they gave thanks to God and celebrated with feasting and prayers, in true Christian fashion. Thanksgiving Day became an official holiday when American editor and writer, Sarah Josepha Hale, campaigned for a national Thanksgiving Day to promote unity. She eventually won the support of President Abraham Lincoln and on October 3, 1863. During the Civil War, Lincoln announced that a national day of thanksgiving was to be celebrated on Thursday, November 26. Each president would make the same announcement annually and, with a few exceptions, the holiday typically fell on the last Thursday in November. However, in an attempt to boost the economy by extending the Christmas shopping season, President Franklin D. Roosevelt moved the date to the third week in November. All the states did not follow this revision of the holiday, and, after a joint resolution of Congress in 1941, Roosevelt officially announced in 1942 that the fourth Thursday in November was Thanksgiving Day. Thanksgiving Day has become less religious and more about people gathering with their loved ones to celebrate. This change has made room for people of various religions to celebrate the national holiday. Since Yale versus Princeton in 1876, Thanksgiving has also become synonymous with football. In the late 1800s parades of costumed revelers were introduced and in 1920 Gimbel’s department store in Philadelphia staged a parade of about fifty people with Santa Claus at the rear. In 1924 the annual Macy’s parade in New York City began and huge balloons were added to the parade in 1927. The Shaheedi (martyrdom) of the Skih Guru Tegh Bahadu is observed by Skihs on November 22. 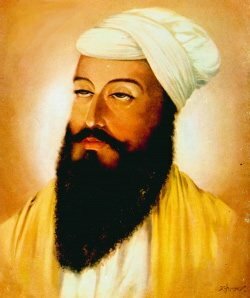 Guru Tegh Bahadur Ji was the ninth leader of the Sikh religion. During Guru Tegh Bahadur's time in India, the Emperor Aurangzeb ruled India. People considered him to be a cruel leader. He came into power by locking his father into prison, and killing his brothers. His main goal was to convert all Indians to Islam. When he took over, he destroyed Hindu and Sikh temples. He also prevented land grants for, and taxed, non-Muslims. In the early 1670s, Guru Tegh Bahadur went from village to village, demonstrating non-violent resistance to the Emperor's policies. The Emperor attempted to arrest him, but the Guru escaped. In 1675, a group of Kashmiri Brahmins asked the Guru for help. They said the Emperor was trying to force them to convert to Islam. The Guru said they could go back and tell the Emperor that they would not have to convert until he converted. The Guru knew that the Emperor would consider this to be a challenge to his power. He knew that he would probably die from this confrontation. The Emperor's men arrested the Guru, and he was imprisoned for eight days. The Emperor's men asked him to convert to Islam. The Guru refused. The Emperor's men then killed two people in front of him to try to scare him into converting, but he still refused. Since he would not convert, he Emperor ordered Guru Tegh Bahadur's execution. Sikhs recognize Guru Tegh Bahadur's sacrifice on this day for their religion. They come to temple on this day to listen to sermons on the scriptures. They also sign hymns of joy and dance in celebration of the Guru. Food is served, and people join together in praying and singing. Shinto is the native religion of Japan. People in Japan have been practicing it since about 500 B.C. 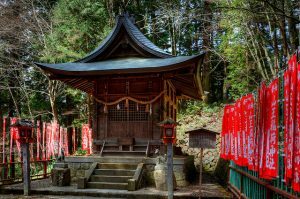 The Shinto religion is based on a respect for nature, family, and ancestors. Those who practice also honor gods, goddesses, and sacred spirits. Shinto is an animist religion. This means that followers believe natural objects have mystical powers. Examples of such objects include: mountains, rivers, trees, the sun, certain animals, and ancestral spirits. Approximately 92 million people practice Shinto in Japan. Most people who practice Shinto in Japan also practice Buddhism. Photo of a Shinto shrine. Photo by Flickr user George Rex. Niiname-sai is a Japanese Autumn ceremony celebrated during harvest. It is also called: Labor Thanksgiving Day, Shinjō-sai, and Niiname-no-Matsuri. The ancient harvest ritual dates back to at least to the year 677. The date of the ritual was once fluid, and took place on in the eleventh month of the old Japanese lunar calendar. During the Mejii era of Japan (1868-1912), the date permanently moved to November 23. It became the national holiday, Labor Thanksgiving Day during the Shōwa period after World War II. wine made from freshly harvested rice and millet to the enshrined ancestors and spirits. These items represent the Emperor giving thanks to the Shinto deities for the crops of the previous year, and prayer for fruitfulness in the coming year. The name "Labor Thanksgiving Day" was given to it, to commemorate labor and food production. This started in 1948 after the Japanese constitution was amended to increase workers' rights. Learn more about Japanese holiday rituals and how to celebrate from the books below. This day celebrates the birth of the Guru Nanak. The Guru Nanak was the first leader of the Sikh religion. Modern research has suggested that Guru Nanak was born on April 15, 1469. However, there is some debate about that. For many centuries, Guru Nanak's birthday was believed to be in November. This is why the birthday celebration is in November. As a result of the controversy, some Sikhs do celebrate in April instead of November. As a child and adolescent, the Guru Nanak found both the Hindu and Islam scriptures unsatisfying. As an adolescent, he refused to participate in a Hindu ritual that marks re-affirming one's faith, or becoming "twice born." This was shocking for his family and the village. Soon after this, the Guru began to get some followers, who were the first Sikh followers. 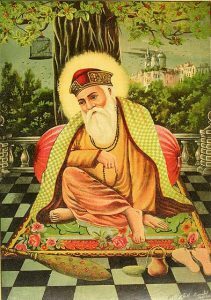 Guru Nanak died on September 22, 1539. He had appointed Guru Angad as his successor prior to his death, who took as the leader of Sikhism. On this day, Sikhs typically go to the temple, sing hymns, dance, play music, and eat a meal together. Depending on the temple, there can be other fun activities planned as well, like a talent show.